Basketball star LeBron James has joined Los Angeles Lakers in a four-year deal worth $154m (£116m), his agency, Klutch Sports Group announced on Sunday. 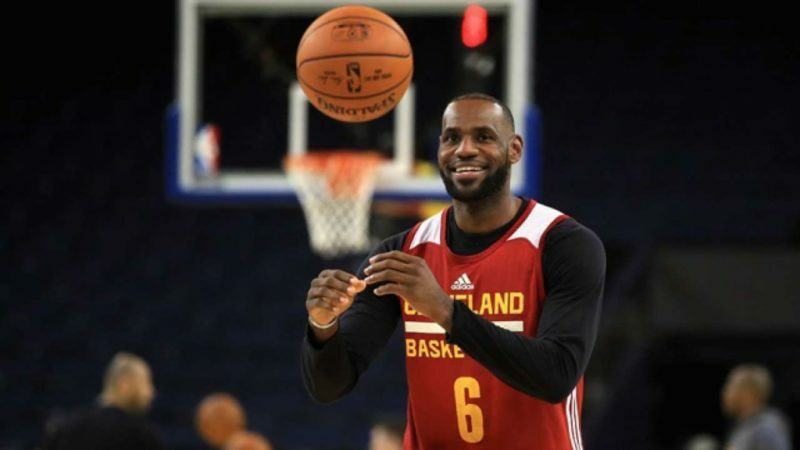 The 33-year-old became a free agent on 1 July and has decided to move to the Lakers from Cleveland Cavaliers, after he helped Cleveland to their first NBA title in 2016, banishing a 52-year-old curse. “LeBron James, four-time NBA MVP, three-time NBA finals MVP, fourteen-time NBA All Star, and two-time Olympic gold medalist has agreed to a four year, $154 million contract with the Los Angeles Lakers,” statement from Klutch Sports Group read on Twitter. The move means the four-time N.B.A. most valuable player, will play in the Western Conference, for the first time in his career, as he enters his 16th season. James led Eastern Conference teams to eight consecutive N.B.A. finals, with Cleveland’s title in 2016 bringing the city its first major sports crown since football’s Cleveland Browns in 1962 before the advent of the Super Bowl. “Thank you Northeast Ohio for an incredible four seasons. This will always be home,” said James on his Instagram account. The 33-year-old becomes the first player in NBA history to lead a postseason in scoring and switch teams the following offseason. “Words do not express the meaning and the feeling this accomplishment brought to the people of Northeast Ohio,” Cavaliers owner Dan Gilbert said in a statement thanking James. “None of this would have happened if LeBron James did not agree to come back home and lead the Cavaliers to the promised land,” Gilbert added.